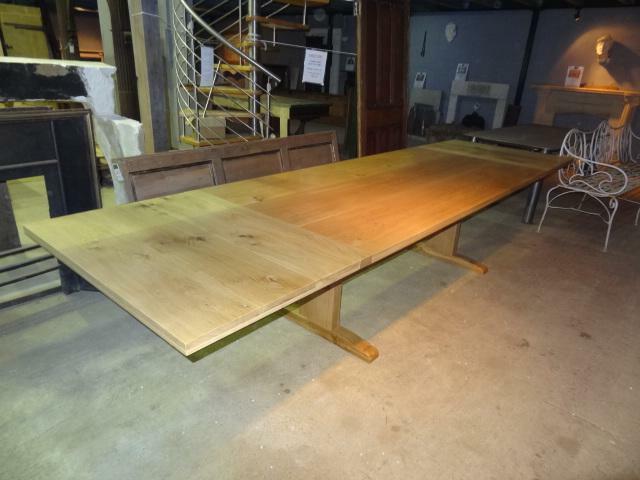 An exceptional oak refrectory table with sleigh supports and 2 bookmarked top planks of extraordinary length and figuring. Modern. Length: 4.59m (15’1″), Width: 1.11m (3’7″), Height: 74cm (2’5″). 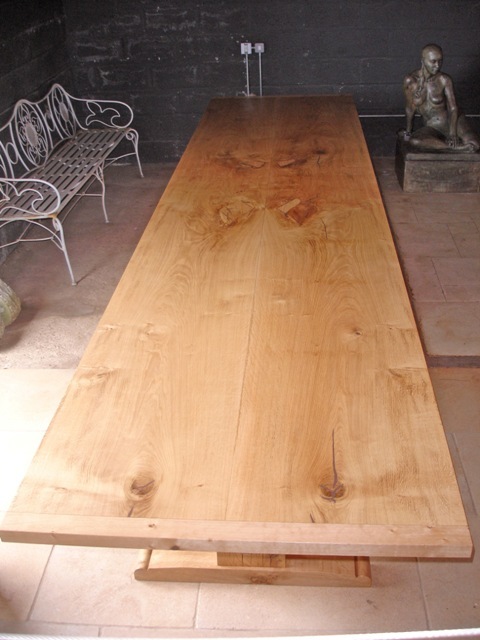 A bespoke made oak dining table with detachable leaves. To sit 14 comfortably when fully extended. Dimensions: Height; 74cm (29″), Width; 105cm (41″), Length (fully extended); 3.67m (12′), Length (without leaves); 2.30m (7’6″).